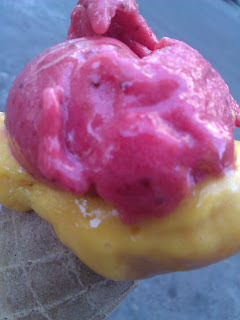 Melbourne Lifestyle Blog: The best mango and strawberry ice-cream. The best mango and strawberry ice-cream. “The most delicious ice-cream I have ever tasted!” was all I could think as I tucked into the refreshing sorbet. I had driven past this place in a taxi and was tempted to jump out when the queues caught my attention. 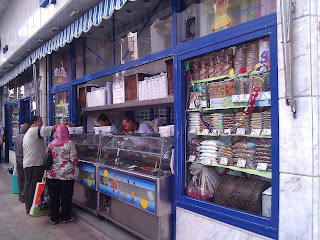 When I later returned to Cairo, I recognised it and decided the ice-cream had to be tried. To pay, you need to go inside near the cakes with too much whipped cream. A single serve is 3LE. I ordered by pointing and then took my ticket to the outdoor stand where they pointed to cup or cone. The mango and strawberry flavours were so full of fruit that it was like eating the fresh fruit simply pulverised. Although somehow they managed to get the texture perfect too – cooling and together. There was no dairy in the sorbets but they still had a creamy texture. It was so delicious I had to refrain from ordering another round straight afterwards. 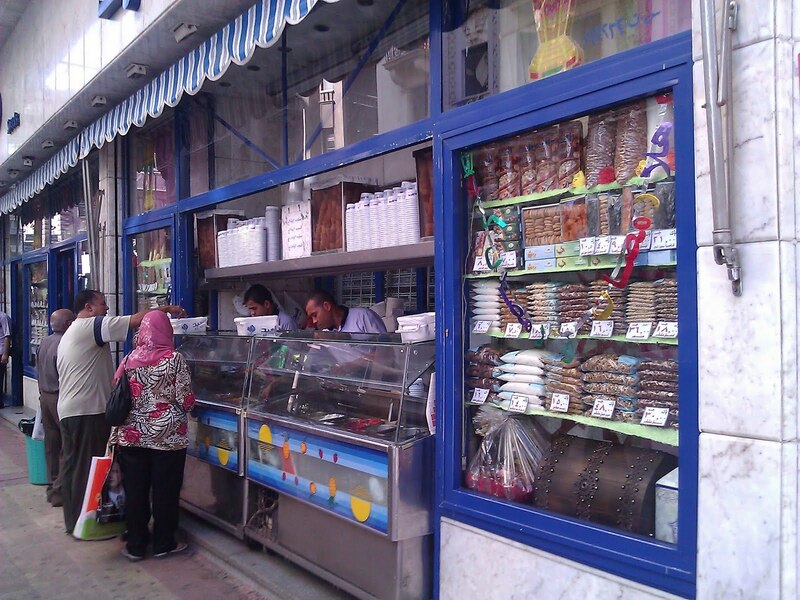 El ABD also sells cakes, which seem to be popular with locals. Most are in an open fridge by the back wall and you have to reach over to get your chosen one out.